During the four months of the London Blitz from September to December 1941, a total of 4,584 cases of looting were heard by the Old Bailey court. 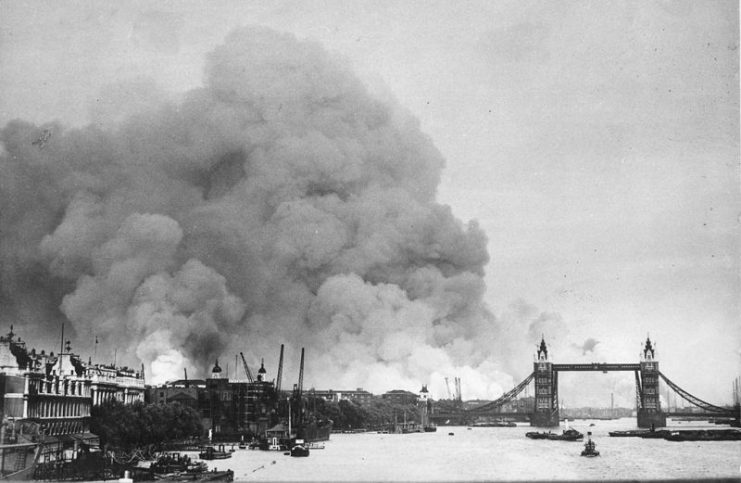 We often hear talk of the “Blitz Spirit” when Londoners stuck together and helped each other through the German bombing raids which destroyed large parts of the city. But there is another side to how people responded to the war, one which showed a darker aspect of human nature in a time of crisis. 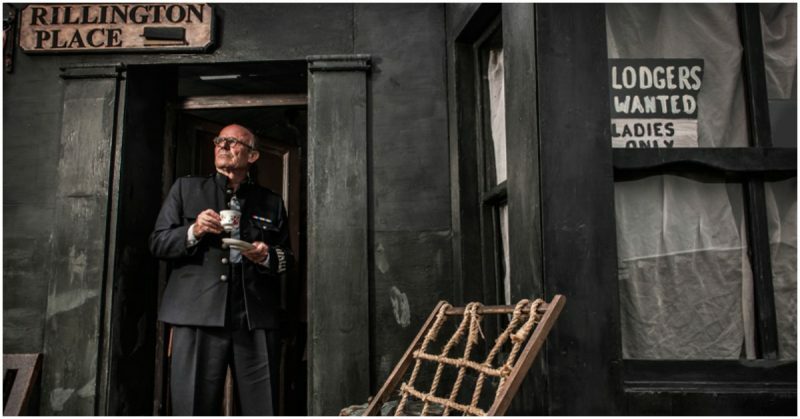 During the years of the Second World War, there was a marked increase in crime. This was due to a combination of different factors. 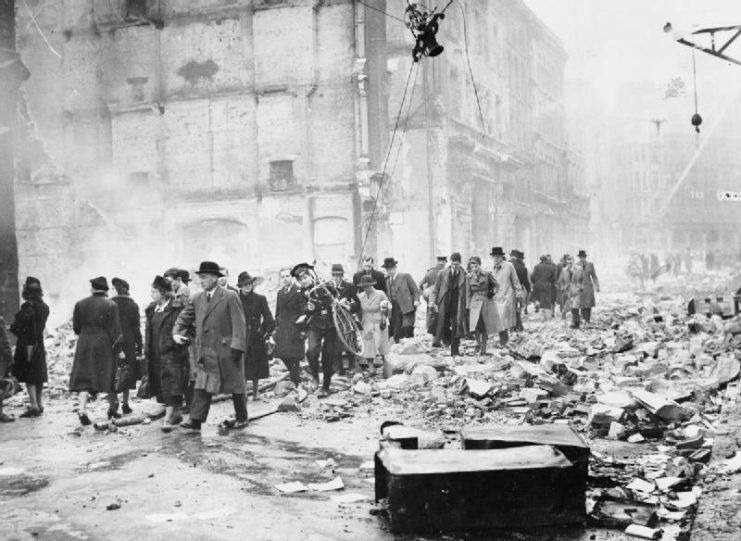 Some were opportunistic crimes, in which not only criminals but also members of the public took advantage of the chaos during air raids and blackouts. There also was an increase in gang activity linked to the black market. And there were new crimes which were the results of war restrictions such as rationing and the criminalization of previously legal activities. One of the most common crimes was looting. When a building was damaged or destroyed during bombing raids, looters would steal what they could. Both homes and shops were targets. People would come home to find that not only had their home been destroyed, but also that their possessions had been stolen. The loot may have been sold or kept by the individuals. During the four months of the London Blitz from September to December 1941, a total of 4,584 cases of looting were heard by the Old Bailey court. In just one day in November, 56 of the cases to be heard by the courts involved looting. Of course, this only represents the percentage of cases that reached the courts. The actual number of incidents was likely considerably higher. 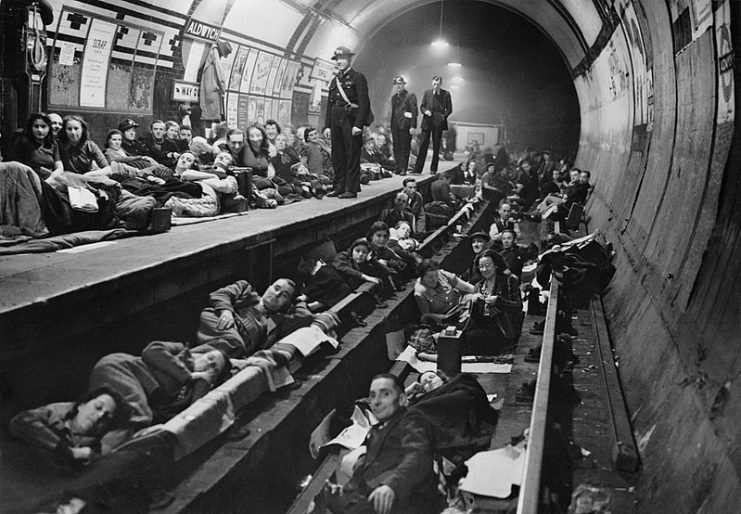 The scene at Aldwych tube station 1940. 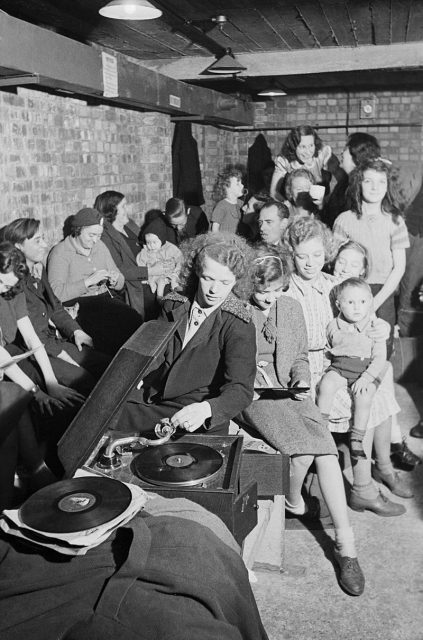 Seventy nine tube stations were used as air raid shelters by Londoners, but they were not proof against a direct hit. In some of the worst examples of looting, the possessions of those who had been killed in an air raid were removed from their dead bodies. An attack on the expensive Café de Paris restaurant and nightclub in Piccadilly in 1941 created the perfect opportunity for looters to steal rings, watches and other valuables from the casualties. What made this crime even worse was that the looters often got in the way of emergency services and hampered rescue efforts, putting more lives at risk. Although criminal gangs were responsible for much of the looting, they were not the only ones to take advantage. Members of the public and even wardens and members of the armed forces were known to have taken part. There were already many criminal gangs operating in London and other major cities before the war, but the war provided additional opportunities to expand their scope of activities. Looting resulted in a trade in stolen goods which often fell into the hands of gangs. 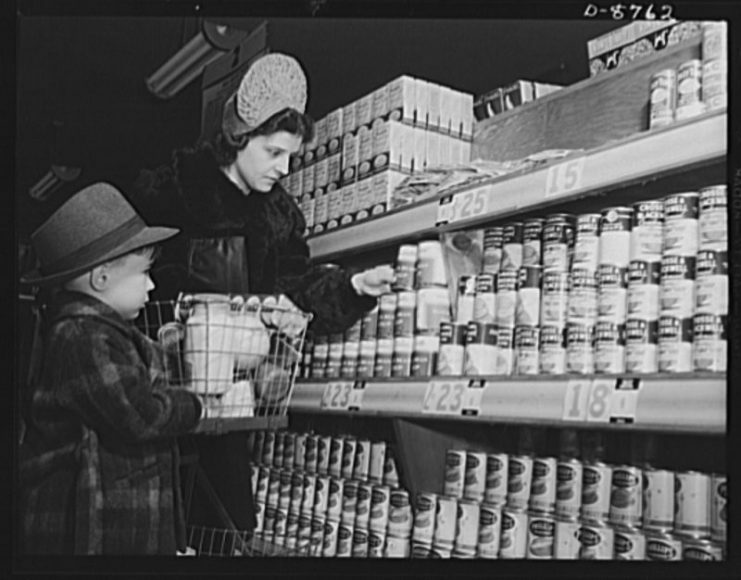 Rationing of food and many luxury goods created a black market for those items. The easy availability of prostitutes was a cause for concern for the US government and created some tension between the UK and the US. The US government was worried about the possibilities of GIs returning home and spreading sexually transmitted diseases they had contracted while in service in the UK. 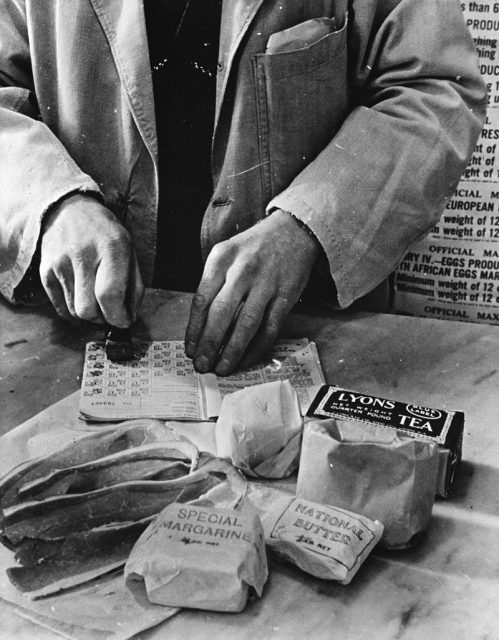 Throughout the 1940s (and for nine years after the end of the war) every man woman and child in Britain owned ration books of coupons for food and clothing. Of course, all the “normal” crimes that had been a problem before the war continued, and increased in number. Darkness and confusion due to blackouts and bombing raids created the perfect scenario for murders to take place. A serial killer who became known the “Blackout Ripper” took advantage of the cover of darkness and murdered at least four women over a period of six days during the blackouts in London. The killer was a young airman of the RAF named Gordon Cummins. He was caught thanks to his fingerprints on a gas mask left behind at the scene of an attempted murder. Cummins had no previous history of crime or violence. Buildings damaged by bombs provided the perfect place for a murderer to hide a body. It is likely that the death would be blamed on the air raid, and therefore would not arouse suspicion and require further investigation. There were also new laws regarding work practices that made it not just a sackable, but a criminal offense to take time off work without permission in certain occupations. Compulsory work orders covered many of those involved in essential war work. Being late for work too often or being unwilling to work could also land a person in court. It became illegal to go on strike in certain key occupations. However, this was not always easy to enforce. 1,000 miners at a colliery in Kent were fined for going on strike in 1942. They refused to pay. Although they were threatened with jail, the threat was not carried out. The government realized it would have been impractical and self-defeating to imprison so many essential workers. 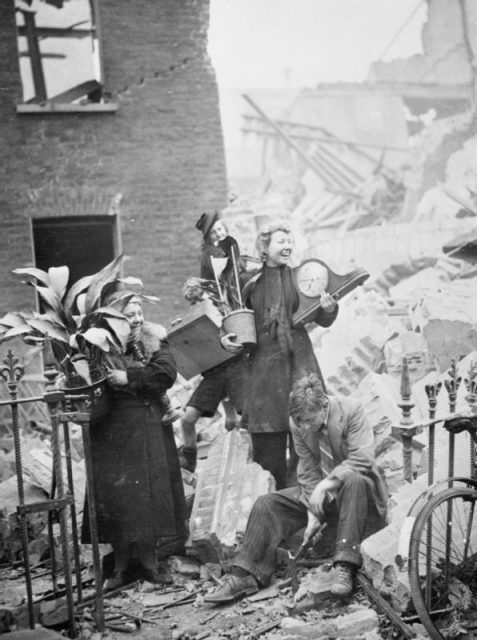 Office workers making their way through debris as they go to work after a heavy air raid on London. Times of crisis can turn ordinary people into criminals. This can sometimes be a matter of survival at the expense of the law, but sometimes it is due to changes in the law. 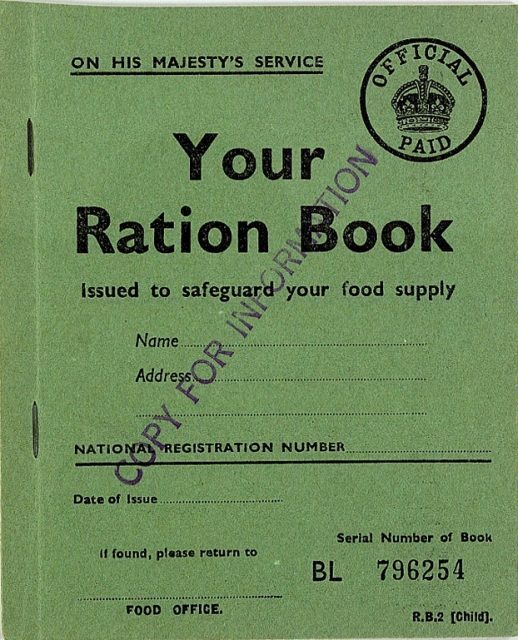 Food rationing, for example, was introduced in Great Britain in January 1940. Essential products were rationed to ensure there was enough for everyone. Butter, sugar, meat, milk, and cheese were among the foods rationed. Not surprisingly, many of these could be bought for a price, but anyone buying or selling risked being fined or worse. It was also a crime to misuse ration books. Some families continued to claim rations in the names of deceased family members. Or sometimes an extra ration book was sent out by mistake. One mother who had received two ration books for her 15-year-old son – an adult and a child’s book – was fined £160 ($200) for using both them. It is true that war seems to bring out both the best and the worst in people. Although many of the crimes were committed by the kind of people we commonly recognize as “criminals,” a large number of ordinary people found themselves involved in criminal activities that they would not have imagined committing in different circumstances.